Ontario’s basic income pilot project was widely expected to last three years, and for participants who made financial commitments based on that, the program’s early end next week is creating new financial stress. The province’s previous Liberal government launched the basic income pilot in 2017 to see if more money could change the lives of people with low incomes, choosing 4,000 people to receive payments in the Ontario communities of Lindsay, Thunder Bay, Brantford and Hamilton. Pilot participant Dana Bowman, who will now go back to relying on the Ontario Disability Support Program after her last payment arrives on Monday, says she was “completely gutted” when Doug Ford’s newly elected Progressive Conservative government announced last summer it would be cancelling the program. “We had a chance to make history,” said Bowman, who signed up for what she thought would be three years of payments and agreed to open up about details of her personal life and financial struggles for the study. “The light came back on,” said Bowman, who used the money to replace second-hand bedding and pillows, buy a new couch and over-the-counter medications that had been out of reach,and pay for travel costs to visit and take care of her grandchildren in a nearby town. She had also hoped to go to college. When she returns to ODSP in April, Bowman’s social housing costs in Lindsay will be again covered, but she’ll go back to getting $672 per month for her basic needs. She’ll also be going back to asking her daughter to send snacks with her grandchildren when they visit. “That is the reality. It’s back to that,” said Bowman. While it was announced that the pilot would be cancelled last July, just a month after Ford’s majority government was sworn in, the actual end date of the program — March 2019 — was announced a month later. “You don’t just throw people under the financial bus,” said Perry, from his home office in Lindsay, a town that is home to about half of the basic income recipients. He says he’s compiling paperwork, testimonies and other evidence in order to file a class-action lawsuit next month on behalf of the pilot’s recipients. It has not yet been certified. In February, an Ontario court dismissed an attempt by basic income recipients to get a judicial review of the program’s cancellation. 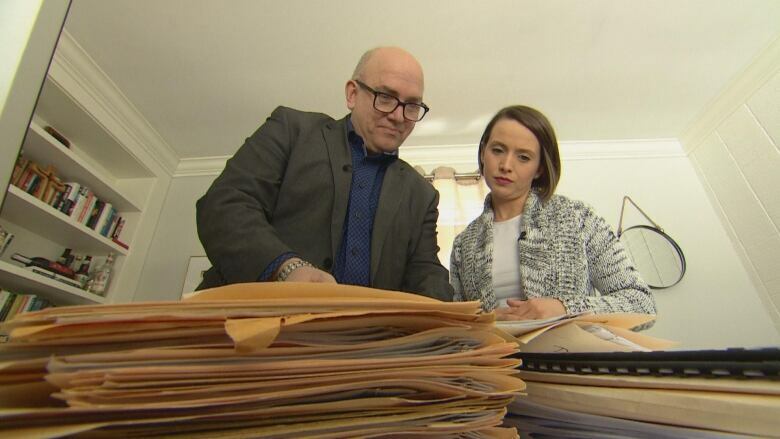 A three-judge panel ruled that it couldn’t review the decision to cancel the pilot because the court isn’t able to review provincial policy decisions. “No one wants to sue the government, it’s certainly not ideal,” he said. Some recipients reported anxiety over deciding whether to stay in school or drop out and save tuition money for food, according to the BICN survey, while others said they were stuck with a lease and didn’t know how they would continue to pay it. “I get emails every day about people who’ve made commitments who are caught out,” said Perry. There are some positive stories that could last beyond the program’s end. The extra money helped to relieve some of the Seguras’s stress involved in raising their four children. They were also able to reinvest more of the money from their business into new opportunities to grow sales, including buying a food truck. Fresh Fuell is now making a profit. The Seguras won’t transition to any other support programs after the pilot is over. “We probably wouldn’t have been eligible anymore, which is, I think, a success story in itself. That’s the whole purpose,” said Segura. Segura is disappointed that the program won’t benefit other new entrepreneurs like him in the future, who don’t have family with financial means to support them during the difficult first years of starting a business. “For young Canadians to have the desire to start a business, why should only a select few have that?” he asked. The Ontario government says it is moving forward with provincewide social assistance reforms, with a focus on streamlining complicated application processes and getting people jobs. However, it’s unclear what the specifics around those reforms will be, or when they’ll take place. “I’m hoarding, it’s officially hoarding,” said Bowman. She has been stocking up on dry goods, frozen meat, medicine and cleaning supplies, determined to keep her expenses low over the next few months so she can afford her payments and keep her couch.